One of the biggest weight gain traps that many people fall into is enjoying too many cocktails or beers too often. Packing roughly 100-200 calories per standard drink (1.5oz 40% alcohol (spirits), 5oz of 12% alcohol (wine) or 12 oz of 5% alcohol (beer)), it's no surprise that the calories, and consequently, the extra weight can sneak up on you in no time. However, according to new research, enjoying a little bit of wine each day may actually help you win the battle of the bulge rather than making it worse. The first thing that most people are told they have to cut out when on a diet is alcohol. The reason for this is that in order to lose weight, calories need to be cut back and we are consequently left with a limited number of calories with which to work. We need to squeeze in breakfast, lunch, dinner and 3 snacks to get all of the nutrients we need and in order to keep our metabolisms burning through those calories efficiently and that can be a tall order when there aren't too many calories to spare. So you can see that an extra 150-odd liquid calories with no nutritional value per drink just don't fit into the equation. Surprisingly, according to new research, we might have gotten the story a little bit wrong when it comes to booze and weight loss, but researchers still aren't totally sure. It turns out that among alcohols, wine seems to improve weight loss results while spirits tend to be the culprits when it comes to weight gain. However, this doesn't mean that one can now drink unlimited amounts of wine and be just fine. Most of the research that has been conducted on this topic has looked into heavy drinking which has been associated with weight gain. Less is known about the effects of drinking just a little bit of alcohol each day on our weight. 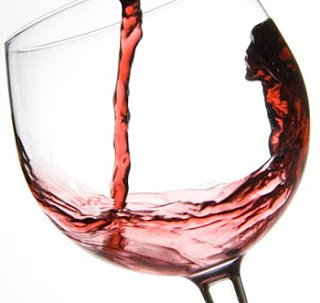 When it comes to moderate drinking, one to two 5 oz glasses of wine each day has actually been associated with a lower risk of metabolic syndrome, which increases the risk of type 2 diabetes. So if you thought you couldn't have any alcohol at all while losing weight, your fears might now be put to rest. But be careful - more research is needed on this topic and we know that those empty calories are still there, any way you slice it. Plus, anyone who has had a drink or two knows that alcohol makes us hungrier and lowers our inhibitions, making eating nachos at midnight (with extra guacamole) seem like a sensible idea. If this sounds like you, then perhaps alcohol may directly and indirectly sabotage your goals! Be sensible and you should be in good shape!